#136. 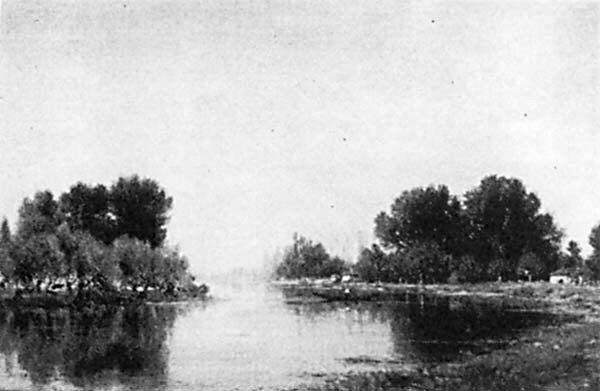 A River Landscape Near Poissy. 12 x 18, oil on panel. Signed. Sold for £2400 + 10% at Sotheby's, London, Nineteenth Century European Paintings auction of 27 Feb 1985, lot 206. 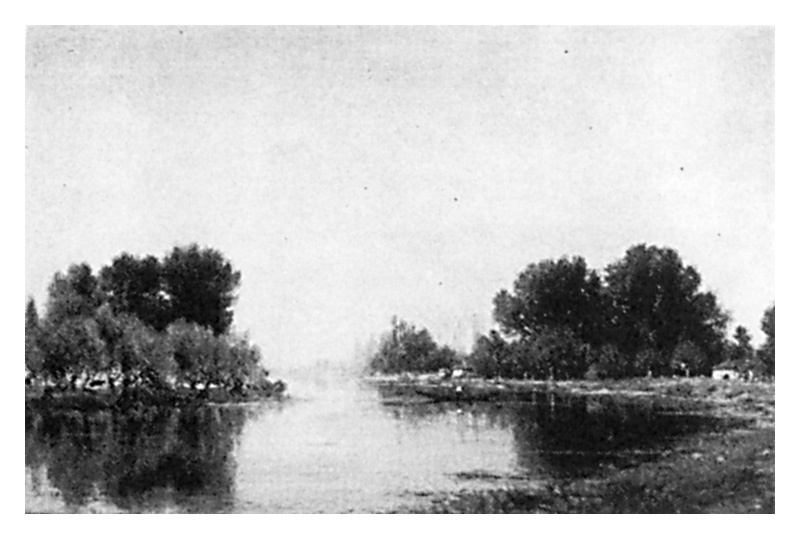 Image from photocopy of catalog.